La Puerta Originals has the nation’s largest collection of architectural antique materials salvaged from around the world. Our team of highly skilled craftsmen, working in our 18,500 square foot production facility, hand-crafts each piece, one at a time. 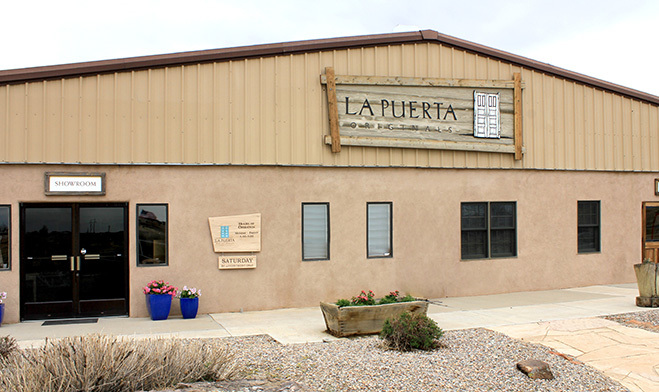 La Puerta Originals is a family-owned and family-operated company located in Santa Fe, New Mexico, doing business throughout the United States. 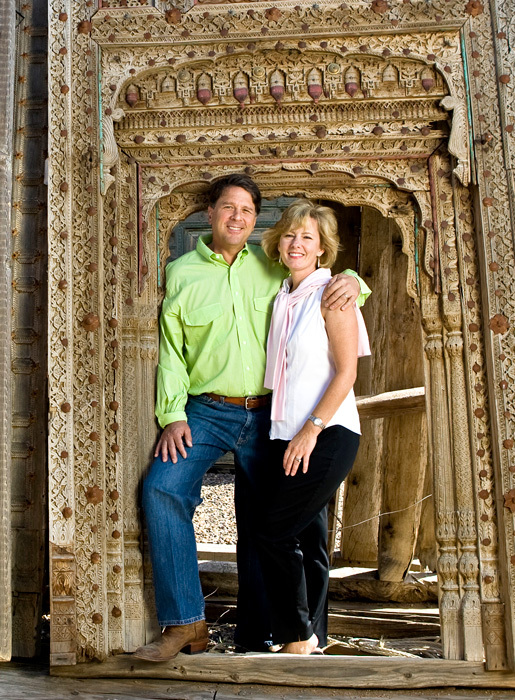 The business evolved out of founder Scott Coleman’s combined love of art, architecture and world travel. As a graduate of SCI-ARC (Southern California Institute of Architecture) Scott was particularly interested in Old World architecture. He began collecting discarded doors, columns and corbels, beautifully carved wood, iron work and other building materials bound for the landfill. Collecting these materials became his passion and his inventory grew out of his garage and onto four-plus acres of doors, surrounds, reclaimed wood, timbers, metalwork and other building materials. 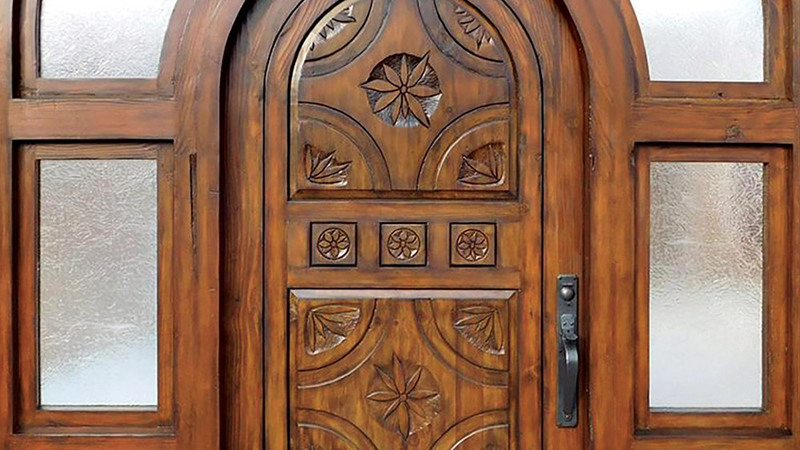 As word spread about the unique architectural elements of La Puerta’s products, a new business was born–the production and manufacturing of custom doors and products made from his unique collection of antique materials. 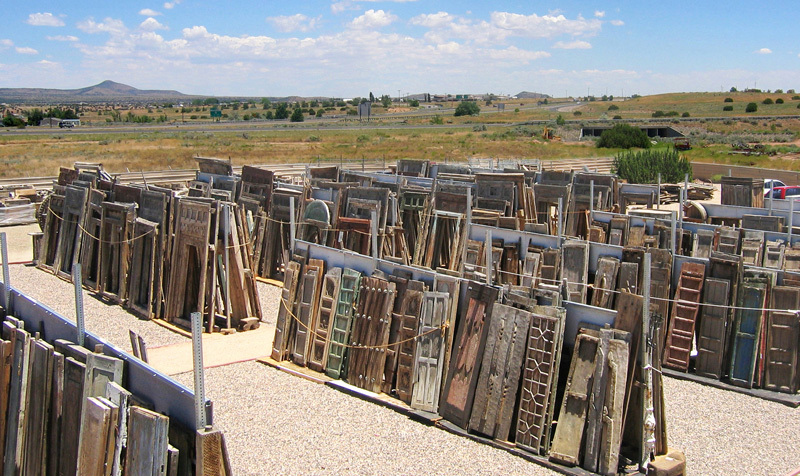 Now, 25+ years later, La Puerta Originals has the nation’s largest collection of architectural antique materials salvaged from around the world. Our team of highly skilled craftsmen, working in our 18,500-square-foot production facility, hand-crafts each piece, one at a time. The company is regarded among architects and custom home builders as the go-to company for unique, handcrafted, solid wood custom doors, gates, custom kitchen cabinetry, furniture and architectural elements, as well as balconies, door surrounds, wooden ceilings and wainscoting. A commitment to preservation, reuse and reclamation of wood and other architectural materials remains the cornerstone of La Puerta Originals’ business. Creating products of timeless beauty while preventing further deforestation is our passion. Let us build an Original for you!